The Double Slipper 72 inch cast-iron bathtub will surely be the center point of your bathroom. The double slipper design allows either end to be used. Modern and vintage designs are merged together with the pedestal base. The cast iron provides warmth and durability. The classic Double Slipper cast iron claw foot tub adds a vintage touch to your home bathroom. With timeless styling and ornate tub feet, this tub will provide warmth and durability because of its cast iron construction. With 7-inch faucet drillings on the tub rim, the tub filler can be mounted directly to the tub. 6 ft. 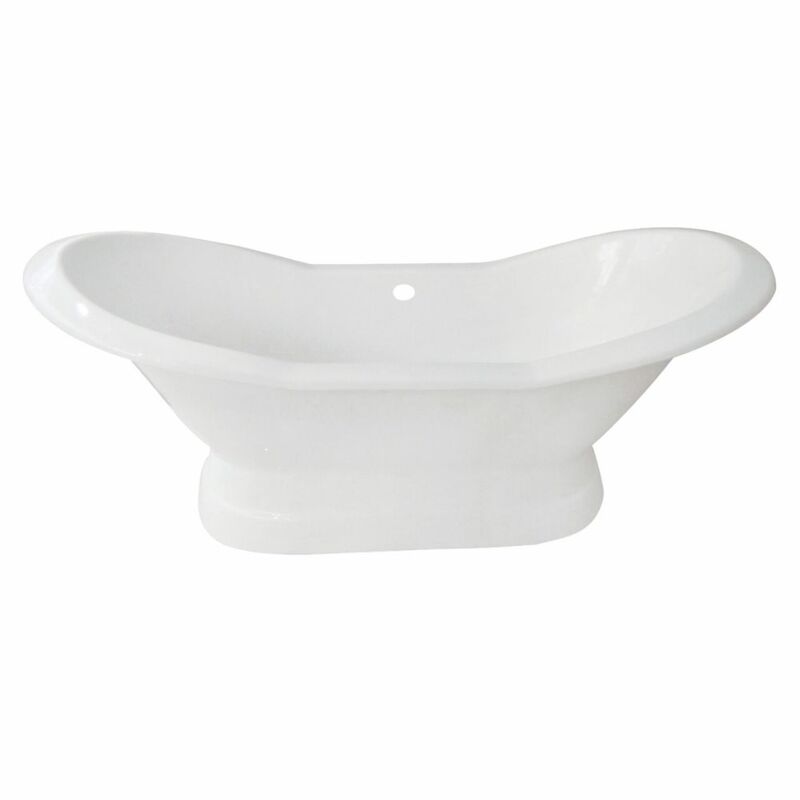 Cast Iron Claw Foot Double Slipper Tub without Deck Holes in White The Double Slipper 72 inch cast-iron bathtub will surely be the center point of your bathroom. The double slipper design allows either end to be used. Modern and vintage designs are merged together with the pedestal base. The cast iron provides warmth and durability. 6 ft. Cast Iron Claw Foot Double Slipper Tub without Deck Holes in White is rated 5.0 out of 5 by 1. Rated 5 out of 5 by Russell from It was everything I wanted & ordering / delivery went... It was everything I wanted & ordering / delivery went well ! !